The Bank of Nova Scotia's fourth-quarter earnings got a lift from its international operations, but fell just shy of expectations as Canada's third-largest lender announced a plan to sell its banking operations in nine Caribbean countries. Scotiabank said Tuesday it has signed an agreement to sell its banking operations in nine markets — including Grenada, St. Maarten and St. Lucia — to Republic Financial Holdings Ltd. for an undisclosed amount. The bank also said its subsidiaries in Jamaica and Trinidad and Tobago will sell their insurance operations and partner with Sagicor Financial Corp. Ltd. to provide products and services in the two countries, for an undisclosed amount. "Due to increasing regulatory complexity and the need for continued investment in technology to support our regulatory requirements, we made the decision to focus the bank's efforts on those markets with significant scale in which we can make the greatest difference for our customers," Ignacio Deschamps, Scotiabank's group head of international banking, said in a statement. This move came as the Toronto-based lender reported its earnings for the three months ended Oct. 31, capping off a strong financial year with a nearly 10 per cent increase in its fourth-quarter profit compared with a year ago, but falling just short of market expectations. On an adjusted basis, the bank reported earnings per share of $1.77 compared with $1.65 a year ago. Analysts on average had expected adjusted diluted earnings per share of $1.79 during the bank's fourth quarter, according to Thomson Reuters Eikon. "During 2018, we delivered strong results and made important investments, which will be additive to the bank for years to come," Brian Porter, Scotiabank's chief executive said in a statement. "The strategic acquisitions made this year strengthen the bank's overall earnings quality and add important scale in our key markets." The Toronto-based bank's latest results were fuelled by its international banking division which saw quarterly net income rise more than 21 per cent to $804 million. For the full financial year, the bank's international operations saw adjusted earnings growth of 18 per cent on a constant currency basis, Porter said. "This was driven by our operations in the countries that make up the Pacific Alliance — Mexico, Peru, Chile and Colombia — which experienced double digit loan and deposit growth, partly reflecting recent acquisitions, positive operating leverage and stable credit quality," he said in a statement. The bank's Canadian division reported net income of $1.12 billion during the latest quarter, up 4.5 per cent increase from the year before. On an annual basis, Scotiabank's domestic operations reported earnings of $4.4 billion, up roughly seven per cent from its 2017 financial year. The bank's common equity tier 1 ratio, a key measure of the bank's financial health, was 11.1 per cent, down from 11.5 per cent a year ago and 11.4 per cent in the previous quarter. 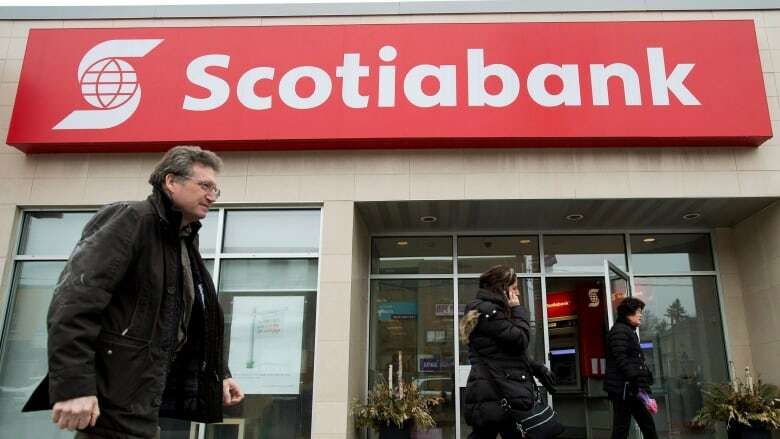 Scotiabank said its CET1 was reduced primarily due to the impact of acquisitions, including Scotiabank's move to buy a majority stake in a Chilean Bank and acquire investment firm Jarislowsky Fraser. The bank said Tuesday that the deals to sell off its banking operations in the Caribbean and its insurance operations in Jamaica and Trinidad and Tobago were not financially material and its CET1 ratio will increase by roughly 10 basis points on closing.